In order to use the OfficeSpace.com listing service, your organization needs to have the integration enabled. Please see the Enablement documentation. 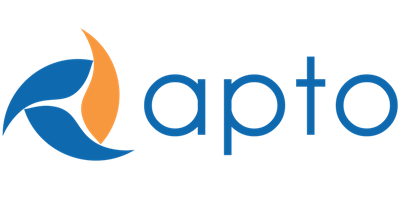 Apto will be your ‘system of record’ for the Listing detail. Once a Listing is active, you can Publish it from Apto to OfficeSpace.com. Apto pushes all data to OfficeSpace.com, and we do not receive any updates back (i.e. it’s a one-way push). If you need to edit a listing, you should do so in Apto and publish back to OfficeSpace.com. The Publish Listing page will open. Place a checkmark next to OfficeSpace.com, and then click . If you have an OfficeSpace.com account that uses the same email as the listing owner’s email address, then your Listing will be associated with your account. If you do not have an account, you can still view the listing on OfficeSpace.com. We recommend that if you publish to OfficeSpace.com that you also have an account with them, so that you can use the full features of their listing platform. If a detail about the Listing changes or the Listing itself changes status, you will want to send those updates over to OfficeSpace.com. This way, you don’t have to log into OfficeSpace.com to update or delete listings - you can manage that all through Apto. There are two types of errors that you may encounter: errors on a particular Listing and errors for the integration itself. The other type of error message is that the publishing service doesn’t properly sync a listing because the integration itself isn’t functioning. When you click , you will get a Publish Status right from the Publish page. If there is an error, you will see a next to Publish Status. If you receive that error, try clicking again. If the issue persists, please contact Apto Support.